This book is a complete, authoritative resource on the coating of tablets, capsules, and other solid dosage forms of therapeutic agents. Fourteen authors cover the industry's technologies. 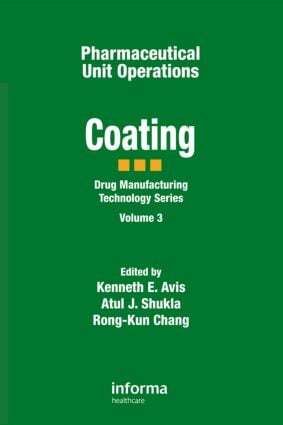 The book begins with a full discussion of the primary processes -- sugar coating, film coating, and microencapsulation -- as well as the rationale for coating, methodologies, formulations, processing methods, and equipment and cleaning. Then it explores automation of the coating process, including hardware and software requirements. Finally, the book examines major stability and quality control issues. Regulations underlie all discussions.